When Novation’s little Circuit came out, it was already an appealing, simple box for making music. You got two polysynths and a four-part drum machine built in, coupled with a step sequencer, RGB pads and encoders for control, and MIDI, all for just a hair above $300. At the same time, though, you were restricted to the built-in sounds. 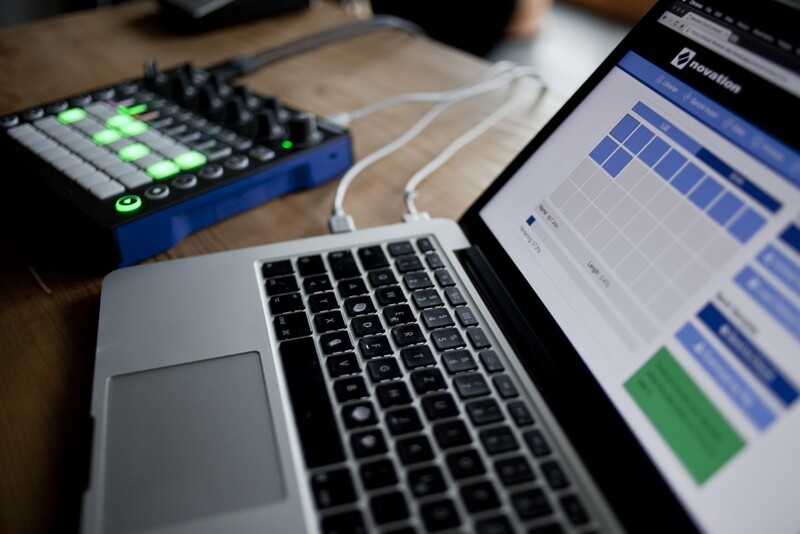 Today, Novation are unveiling a bunch of updates that open up the machine to more customization – to personalizing it for your own use. 1. Load your own samples. [Browser] Drag and drop WAV and MP3 files into the Chrome browser, and you can load up to 64 samples / (60 seconds total time) onto your machine, for chopping up melodic samples or custom drums. 2. A complete editor for sound design. [Software] Okay, so the original Circuit was a bit like “encoder roulette” – dial in a preset, turn the knobs, and see what happens. If you longed for more control, this is it. The folks at Isotonik have built a comprehensive editor that basically turns the Circuit into a full-blown Nova, by unlocking all the synth parameters inside. 3. 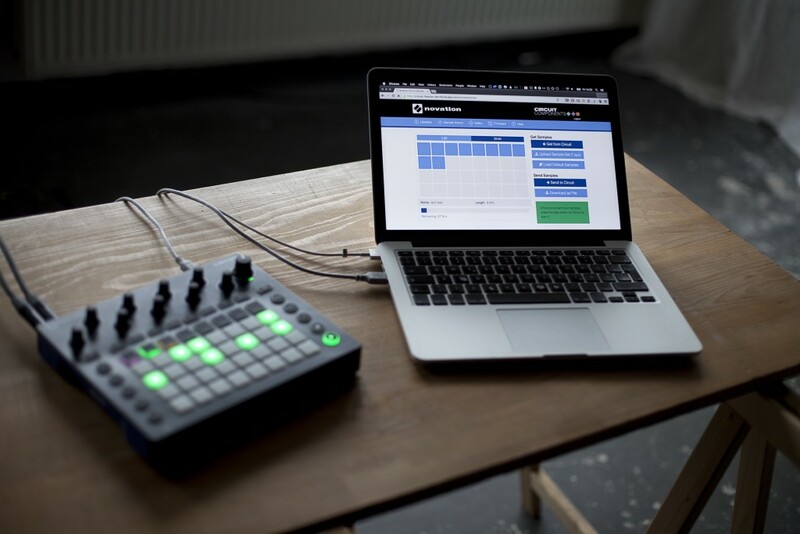 Step editing, more playability, more MIDI connectivity. [Firmware] The 1.2 firmware update brings a bunch of new features (and fixes, of course), to do with how the hardware connects to controllers and hardware and how you can edit and play. 4. Cloud backup and librarian. [Browser] Connect Circuit to a computer running the Chrome browser, and you can store and recall presets and content – no other software or drivers needed. That means the 32 session limit isn’t a limitation any more. Plus, because it’s in the cloud, your work is accessible anywhere. Your luggage got lost at Heathrow? Borrow a friend’s Circuit, connect to the Internet, grab your content, play the gig. We’ll be sharing how to get the most out of this with some exclusive how-to and artist coverage as part of a collaboration between CDM and Novation, starting early next week. In the meantime, it’s clearest to see how this all works in the videos Novation has produced for the features, which they have dubbed Circuit Components. Sample loading is the thing that I think will probably be the most interesting to people. It’s fairly limited – but those limitations themselves can be kind of interesting (something I’ll explain more in our own tutorial). You can drop as many as 64 separate samples, with that sample content adding up to 60 seconds of total time. You can’t trigger the individual samples directly, but you can assign them to the four drum part slots. You can change those assignments on the fly, too, by tapping pads as sequences play. Unfortunately, you can’t automate that on the Circuit itself (yet), but you can also trigger changes via external program change message over MIDI. And you get the usual automation and macro control of drum parts, so you can re-pitch, filter, and change the envelope. So, for my part, I’ve now paired my Circuit with Korg’s volca sample, and loaded custom samples on each. Sure, it’s hardly an Elektron or MPC, let alone a computer, but in a live set to me it’s already a whole lot to play with. And that’s before you get to the synth. Now, connecting a Circuit to a browser and the Web means you can load your own sample, and save and recall presets online. The editor means you can also customize the two polysynth parts along with the drum sounds. Isotonik have both a standalone and a Max for Live device that open up editing every last parameter. This means two things: for synth lovers, you’ll be able to dial up your own presets, then play with those out on an insanely compact box. For people not wanting to make their own sounds, I also imagine the Circuit owner community (which is now fairly big) will have some custom sounds. And most importantly, the eight macro knobs do exactly what you want them to in your patches. Record external MIDI notes and macros. Well, this is huge, obviously – it turns Circuit into a full-functioning sequencer, and also makes it easier to integrate with software like Ableton Live. Dump MIDI clips from Ableton to Circuit. Here’s an example of that. If Circuit is set to chromatic mode (or you match up the keys), you can simply hit record in Circuit’s Pattern mode and record and Ableton MIDI clip right onto hardware, all in sync. Momentary record. Holding record down now punches in or overdubs notes and macros. This feature alone can change the experience of playing with the software. Step editing. Now you can add automation per-step – so repitch a particular drum hit, add an effect to just one step, or even use step editing to create a sequence of chords. Change sounds via MIDI – Synth 1 and Synth 2 receive program change messages. The four Drum parts are all on one MIDI channel (10), and respond to CC messages to change sounds. The latter means you can trigger different slices / sounds you’ve loaded yourself – very cool. Clear automation without destroying stuff. Clearing automation from a knob while in automation record or step edit mode now clears only that lane on the selected step – so you don’t accidentally destroy your work. A lot of little glitches and problems have been fixed, too. In my testing, Circuit is really trouble free now. Online editor/librarian. Cloud storage of sets as mentioned earlier opens up some new possibilities. It’s a backup, and it’s also a sharing tool. And one more thing – an iPad editor. Novation are also making available a TouchOSC template for iPad that lets you access MIDI parameters. That gives you live access to parameters outside of Isotonik’s editor and whatever macro controls you’ve assigned. Load this on your iPad, in other words, and all your parameters are accessible remotely. 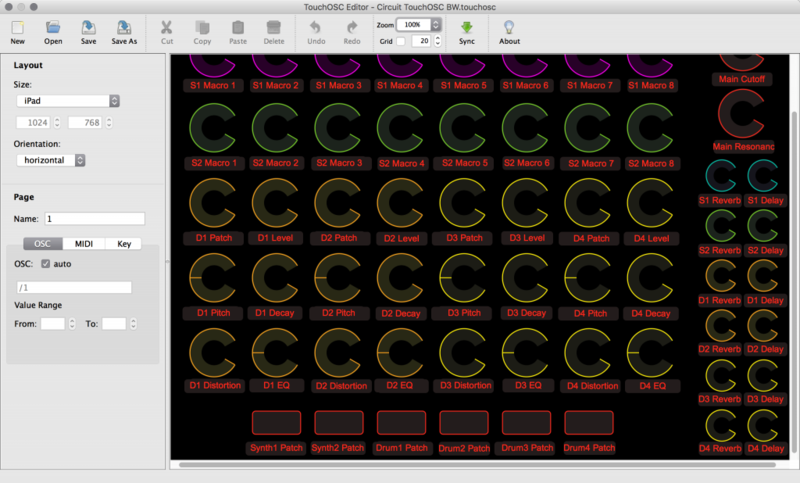 I’m going to also prod the Modstep team to provide support for Circuit in their step sequencer. Watch this space. We’ve got an expanded tutorial and video to show you how you might work with this feature and the hardware, plus some artist interviews. Got specific technical questions? Ask away in comments and we’ll get them answered for you. Photos: Maria Gysi for CDM.